Here is your choice to attract customers like never before. With Shopify, an online store builder, you can build an attractive online store based on all your specific requirements. You can organize your products, customize your storefront, track and response orders, accept credit card payments, and do many more with no hassles at all. Shopify is absolutely an easiest way to sell online! Shopify has become the platform of choice for businesses ranging from small to mid-size organizations those who are looking for an effective e-commerce solution. With its proficient and easy-to-use templates, you can build an online store in a matter of minutes, and also have your website up and running in no time. How to create your online store with Shopify? Sign Up: When you are planning to sell your products online, then don’t try out something big right away. Shopify consists of three main plans, and especially a starter or a beginner plan for less cost. The cheaper the plan, the fewer the features it provides. Initially, you can choose the basic plan, and later on, you can easily upgrade your plan based on your requirements. Moreover, Shopify provides a large number of options to meet all your needs no matter what your budget is. Customize Your Online Store: As you are setting up your own online store, you have the facility to customize any of a Shopify theme of your own choice, by using a wide range of customization settings. Also, by using Shopify’s new Theme Settings Editor, you can preview your website in real-time to view the changes that you make. Also, Shopify’s Liquid templating language makes everything simple for you to change any aspect of your website. Add Products: Shopify allows you to add your product by simply clicking on the button “Add a product”. If you add a product, then you will be asked to provide the information about your product such as product description, product title, product type, product’s Barcode or SKU, etc. After filling the basic details about your product, there will also be some options like “tags” and search engine options. No issues if you don’t have much knowledge in SEO, because Shopify automatically fills the SEO related information. Other Settings: Shopify gives you with their own sub-domain, however, if you purchased your own domain, then you can set it up now. Next, you need to set up your shipping rates and tax rates. As Shopify was already configured with the tax rules of almost all countries, the shipping rate will be automatically configured for you by default. So, you will not be required to make any changes here. Setup a Payment Gateway: In earlier days, accepting credit card payment was very difficult for any e-commerce website, as the process required the customers to fill so many forms and bank related information. This drawback is completely eliminated in Shopify, as it provides a large variety of payment options to choose from. If you want, you can choose to use a different credit card processor or simply accept “cash on delivery” option. Other option that you can provide your customers is allowing them to create their accounts on your store or just do guest checkout. If you already have a website for your business, then you can integrate the Shopify storefront into your current website to provide a seamless experience for your existing customers. You can also customize a standard theme to capture the look and feel of any of your particular product. So, start selling your products online with Shopify. Just choose a website design, add products, customize your store, add a secure shopping cart, and now you are ready to sell online. Starting an online store has many benefits over simply having a physical storefront. If you have an online store, you can avoid paying rent for physical stores and, as well, you can reach millions of customers from the comfort of your own place. In order to have a shot at success, nevertheless, it is a good idea to put as much thought into making an online store as you would any other business. You will need to have a valuable product, a user-friendly website and a good marketing plan. How to get start an online store? How to set up your own online store? How to choose the right shopping cart software for your online store? Once you develop an effectual marketing plan, the next step is to choose the right shopping cart software to use for your online store. Choosing the best ecommerce software can be difficult due to the amount of choices you have in the market. You need to choose the best ecommerce software, which has right features and tools for creating, maintaining and running your online store. You can choose the best ecommerce software for your online store by looking at its price, features, bandwidth limits and overages, transaction fees, product limits, payment processing, ease of use, technical support and assistance, and so on. Some of the famous shopping carts that are available in the market are Magento, OSCommerce, Prestashop, Zen Cart, OpenCart, Shopify, 1ShoppingCart, Shopping Cart Elite, CoreCommerce, Volusion, CS Cart, King cart, ShopSite, FoxyCart, 3d Cart, Lite Commerce, Pinnacle Cart, Bigcommerce, WP eStore, InfusionSoft and many more. To find the best ecommerce software for your online store, first you need to determine whether you are technically savvy or not. If you are, then choose open source that will give you more flexibility and then configure the shopping cart based on your business requirements. If you are not technically savvy, then use hosted shopping carts or website builders to quickly and easily set up your online store and start selling your products. How to make your online store more successful? The challenge here is not so much in how to make your online store up and running, instead it is all about how you are attracting your visitors and converting them as customers. Fortunately, the things that make the big online shops that are already available can be applied to your online business too. Product reviews – Allow your customers to review the products they have bought from your online store. Quality images – Allow your visitors visualize how the product looks like and how can be used. Easy payment process – Make the payment process hilariously easy for your customers to pay you. Fast loading times – Provide smooth shopping experience for your customers by optimizing your online shop speed. Quality design – Get a professionally designed online shop that adds credibility and shows your brand personality to your visitors. Related products – Show visitors other products people have bought together or products that are complimentary to each other. Easy store navigation – Make your online shop easy to navigate through with an effective category, filter and search system. Good product descriptions – Provide proper descriptions about your products to convert people into paying customers. Excellent customer support – Always be ready to deal with disgruntled customers anytime. So, build a successful and highly profitable online store! Happy Selling Online! 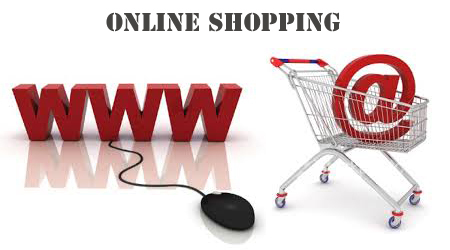 Author K2B SolutionsPosted on January 20, 2014 Categories Online ShoppingTags how to make your own website, how to start an online store, india online shopping, making an online store, Online Shopping, online shopping websitesLeave a comment on Do you want to make your shop online?